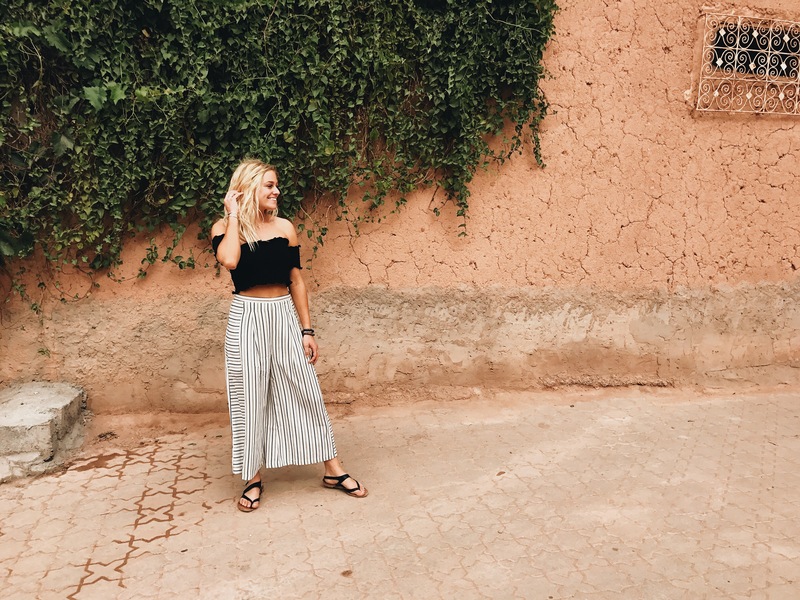 While Marrakech is a predominately Muslim city, it has been visited by Westerners for decades and is becoming an increasingly “westernized” area in North Africa. 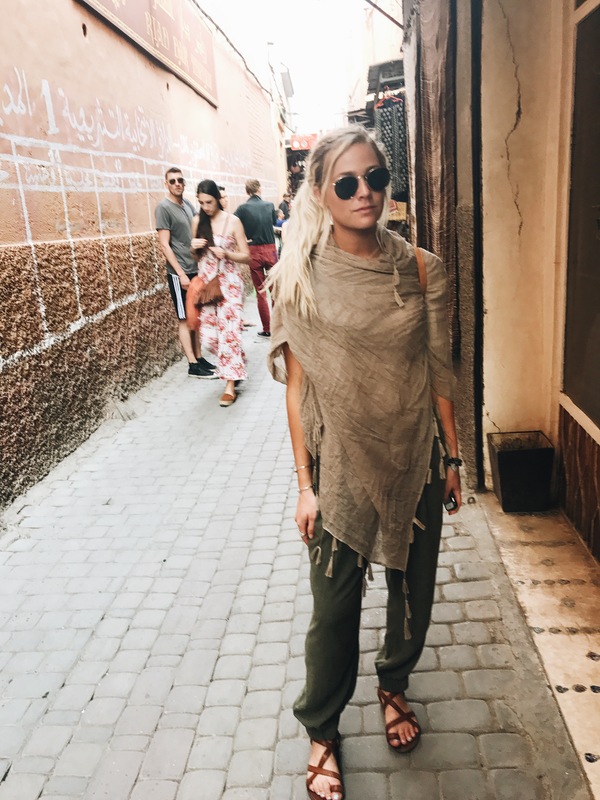 Many people back home in the States assumed to travel to this region of the world you have to dawn a hijab or even a full burqa, which is simply untrue. While you should be respectful, you do not have to be covered from head to toe. The rule of thumb is to have your knees and shoulders covered. 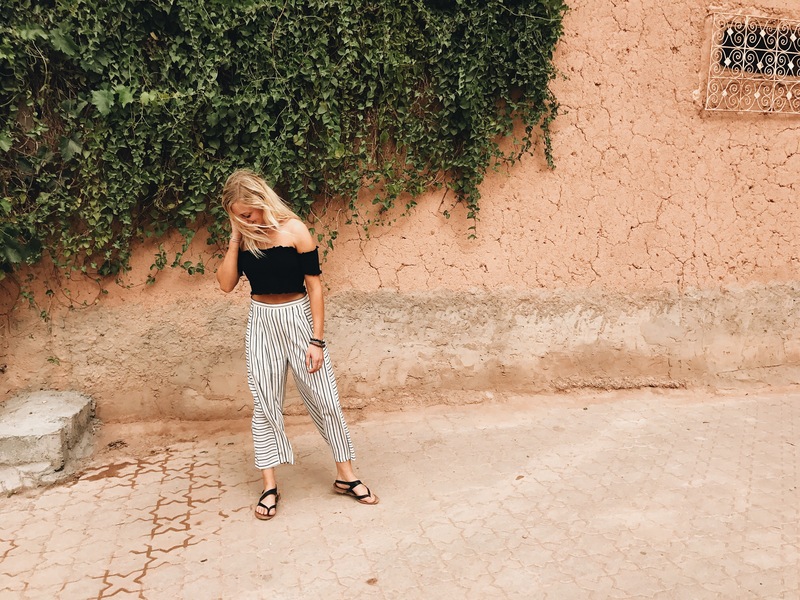 We read posts about girls being touched or harassed while in Marrakech but we never experienced this issue because we dressed accordingly and felt completely comfortable. This fulfills the “have your knees covered” requirement. 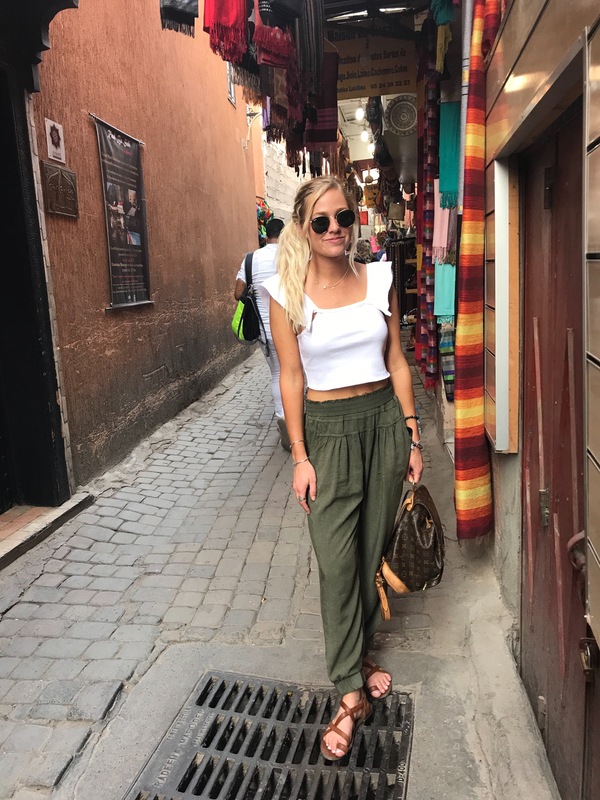 The loose fit not only attracts less attention, but they’re also way more comfortable and breathable. Even in the desert the pants served us well and we never got too hot. This was on of the most useful articles of clothing we brought and we wished we had a wider variety while there. They complimented many of our outfits and offered further cover when we wore tank tops. 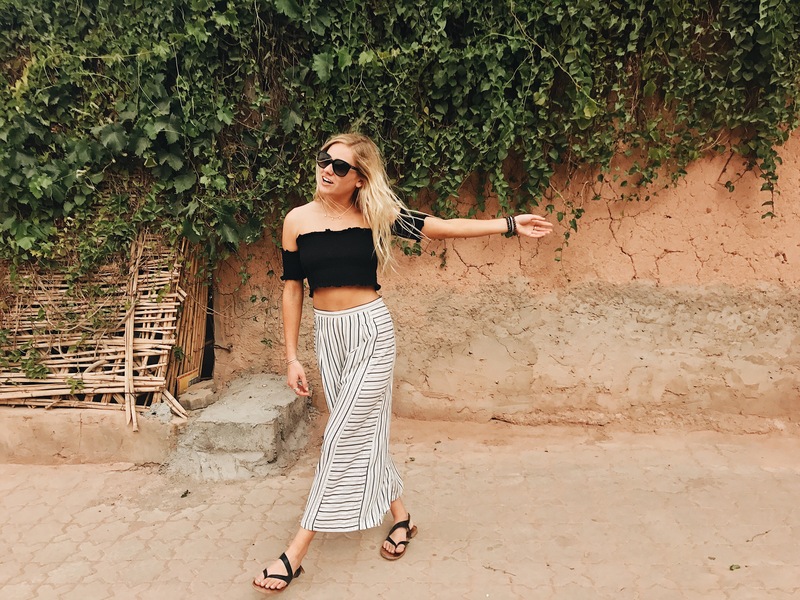 In many of our photos we are wearing tank tops and off the shoulder tops, but while walking around we had our shoulders covered with scarves of lightweight long-sleeved tops. Seems obvious, but they are essential. Both Hannah and I have blue eyes, which coupled with my blonde hair makes me stick out like a sore thumb. The shades offer both protection from the sun as well as a cover for my western features. 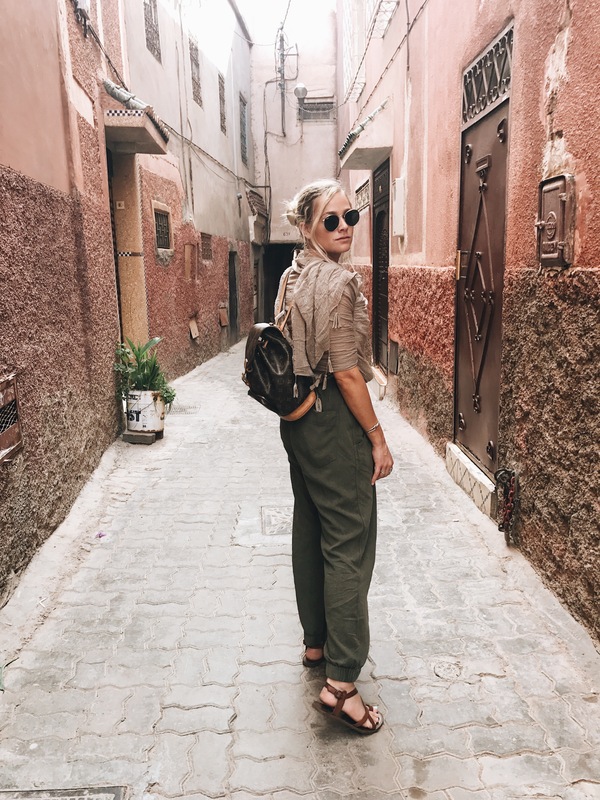 There is a lot of walking around Marrakech because unlike other major tourist cities like Paris or New York, there is no metro and so many of the souks are on small streets that aren’t wide enough to accommodate a car, leaving your own two feet as the most preferable method of transportation in the Medina. We could have packed better in this department, as we brought (and utilized) backpacks more than our satchels. Satchels are they way to go because they’re inconspicuous and you can swing them onto your front in hairy situations, like being in the Big Square when it is crowed. Backpacks scream tourist, they’re bulky and can knock into people, and most importantly, they’re easy to steal from. 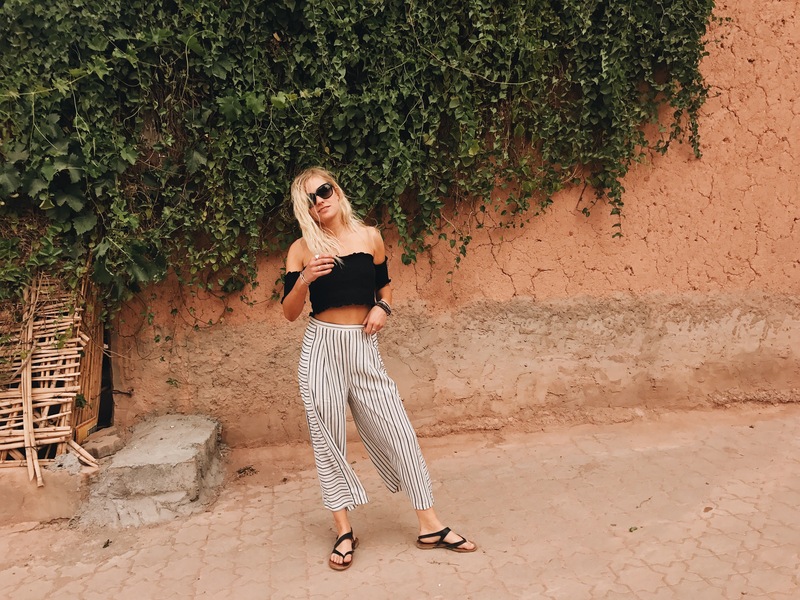 Below is an example of how I dressed to go out in the streets of Marrakech. Backpack NOT recommended! Below, Not Proper! Strictly only for a quick photo!